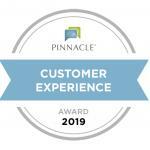 Hot Springs Health and Rehabilitation is a proud recipient of the 2019 Pinnacle Customer Experience Award, ranking in the top 15% of long-term and post-acute care providers nationwide. This award demonstrates to current and future residents our continued dedication to providing the very best healthcare services available. We are proud to announce that Hot Springs Health and Rehabilitation Center has received a 100% Deficiency-Free state survey for 2018! Serving the community for 60+ years! At Hot Springs Health and Rehabilitation Center, we provide a continuum of care that bridges the gap between hospital and home. Our hilltop location with a panoramic view of the valley is a great spot for patients. Whether you are in need of short-term rehabilitation or long-term care, our team works to help you recover and return home. We are neighbors caring for neighbors and delighted to be part of this wonderful community that celebrates life with bubbling hot springs, great local shops and eateries, walking paths, and a vibrant artist society.